the fash pack: gap says be loud! 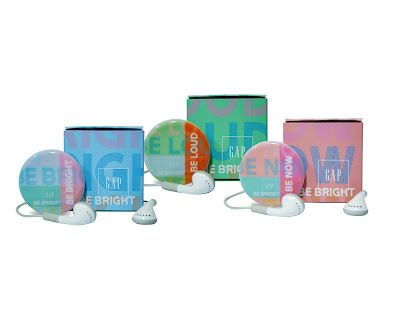 BE LOUD this summer in Gap’s brightest hues! Take your pick from the season’s best-fitting khakis and denim jeans updated in shades perfect for the season. 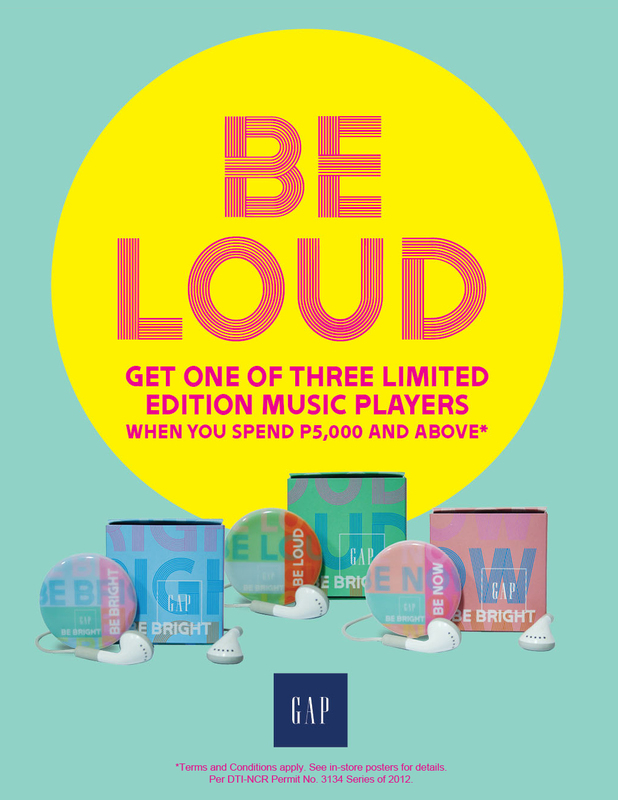 And for a short time – get any of Gap’s music player button pins for FREE when you shop at least P5,000! These limited edition players come in a variety of colors each marked with a unique “Be” mantra reflecting your unique character and style. Customize further with your selection of songs, pin to your shirt, and literally wear your individuality on your sleeve! Promotion is valid from April 26-May 31, 2012 only. Per DTI-NCR Permit No. 3134 Series of 2012. See in-store posters for details. Gap is exclusively distributed in the Philippines by Casual Clothing Specialists, Inc. (CCSI), a subsidiary of Stores Specialists, Inc. and is available at SM Mall of Asia, Shangri-La Plaza Mall, TriNoMa Mall, Glorietta 4, Bonifacio High Street, Alabang Town Center, SM Megamall, Robinsons Place Manila and Abreeza Mall in Davao.